iWorks was started in 1990 by Eric Dortch as a custom metal studio specializing in hand-forged lighting fixtures and architectural appointments. We quickly built a reputation for quality and dependability within the hospitality industry. We have become the premiere custom manufacturer of the most technologically advanced custom lighting in the contract world. As custom fabricators, our open minds, nimble feet and experience, are our best tools. OUR TEAM – Our dynamic team is a necessary component of what we do. Our staff is derived from many diverse disciplines so that we are able to provide you with the best possible solutions for your project. Our commitment to customer service begins long before your order is placed. We draw on 24 years of experience to avoid problems and to deliver creative solutions for complex designs. Our team has extensive knowledge of unique production techniques, specialty vendors, and material resources. Our engineering team is constantly exploring new technologies to remain well versed in the latest lamping and dimming innovations. This same engineering team provides unsurpassed detail in the shop drawings submitted for your approval. They evaluate what is best for design, fabrication, finishing, shipping, and installation when creating their drawings. This level of focus ensures that all parties understand the design intent, which helps to avoid costly mistakes. Our skilled artisans & technicians (blacksmiths, welders and master finishers) are onsite because we do more than assemble; we fabricate. We are a UL Certified Shop. All light fixtures are tested and labeled for UL Standards. International testing which may be required, is available upon request. Our 100,000 square foot facility on a 3.21 acre campus allows us to produce large-scale projects. Our entire team is on-site for constant collaboration. Our facility’s 24-foot high ceilings allow us to pre-assemble and continuity test large-scale installations BEFORE they leave us, to ensure quality. We have over 10,000 square feet dedicated to metalworking. Our finishes include plating, hand finishing and powder coating. We have a 20,000 square foot, state-of-the-art powder coating system that allows us to produce consistent, protective finishes expeditiously. Our on-site CNC machine and acrylic-forming booth provide endless possibilities for acrylic creations. We take packing seriously. Custom crates are madeÂ in our on-site packing and crating department. Each product is pre-staged and thoughtfully packed to ensure it arrives safely and is capable of entering the space for which it was designed. 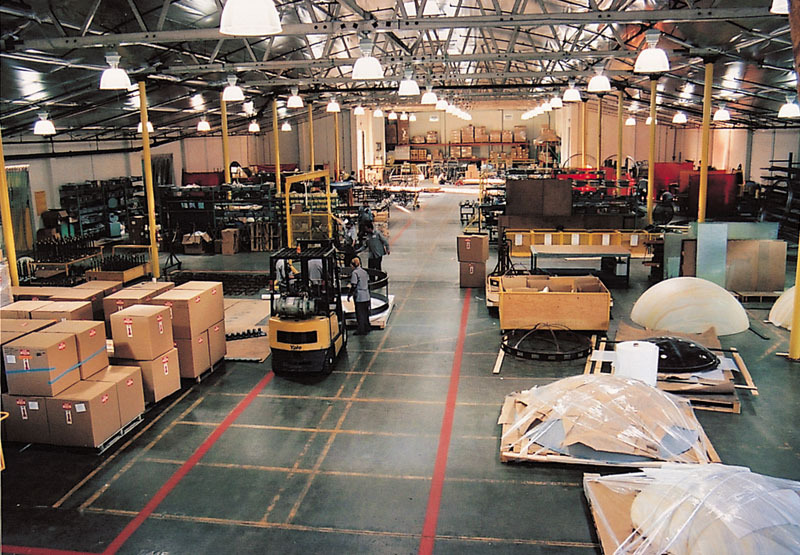 Our techniques reduce crating costs to our client as well as our carbon footprint. We are currently MAKING MAGIC for full service brands such as The Ritz Carlton®, Four Seasons®, Fairmont®, Conrad®, and St. Regis®.